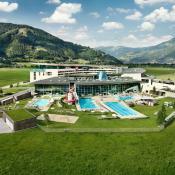 Experience the TAUERN SPA in Zell am See-Kaprun and let yourself be enchanted by the many highlights on offer at our 4* superior resort. 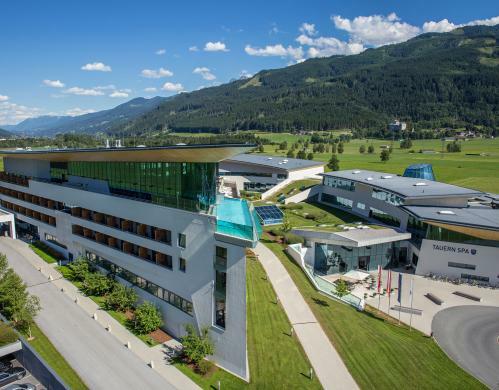 The four areas of the TAUERN SPA invite you to embark on a journey through the worlds of sport, relaxation and fine dining. The breakfast buffet at the TAUERN SPA is the best way to start the day. It offers a huge range of hearty and healthy options to give visitors the energy they need for the day ahead. 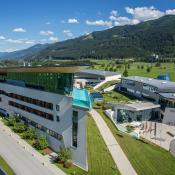 Now it's time to get out and explore the region around Zell am See-Kaprun. How about a spot of skiing on the Kitzsteinhorn glacier? Or a hike on the Maiskogel? Or why not employ a little pedal power and ride up onto the Schmittenhöhe with its many excellent mountainbike trails? Our SPA restaurant Genussallee or our hotelbar Gipfelstürmer are the ideal places for lunch. It offers a wide range of sweet and savoury options to choose from. On sunny days there is no better place to enjoy them than outside on the large terrace. Enjoy the healing power of nature at the Alpin Vital SPA & Kosmetik. Enjoy massages, baths, beauty- and whole body treatments. Discover how good it is to be pampered. There is a paradisiacal atmosphere where you can experience relaxing moments of happiness. 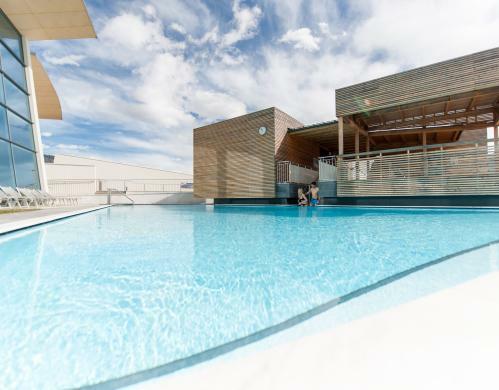 In an airy height, you can swim towards the mountain panorama, the water surface goes seamlessly into the sky blue. This is true luxury and pure relaxation. There is still time for a quick sauna session before dinner. At regular intervals throughout the evening there are special infusions held in the sauna using essential oils giving off a wonderful aroma as well as some more unusual extras such as glacier ice. A special experience! Surrounded on all sides by the peaks of the Hohe Tauern National Park, it is no wonder that the TAUERN SPA offers its visitors haute cuisine! Our expert team of chefs uses produce sourced from the local region to create a combination of traditional Salzburg delicacies and international favourites. We also have a large selection of wines in our cellar. An exciting and enjoyable day slowly draws to a close. But before it's time for bed you simply have to try a cocktail at our hotel bar Gipfelstürmer. What better way to end an unforgettable day of adventure and relaxation?